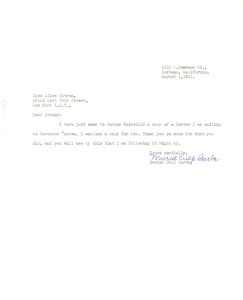 Bluefield (W. Va.) - Concerning a possible lecture in Gary, West Virginia. 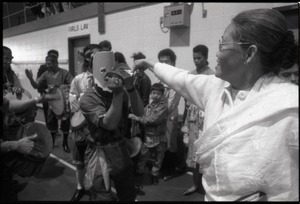 Providence (R.I.) - From a series of photographs labeled "Cambodian New Year." 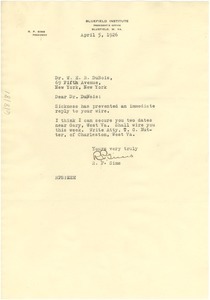 Photo probably taken in or near Providence, R.I.
Burbank (Calif.) - Addressed to Alice Citron; enclosing a copy of her recent letter to California Governor Earl Warren relaying an "unpleasant experience" with the National Institute of Arts and Letters. 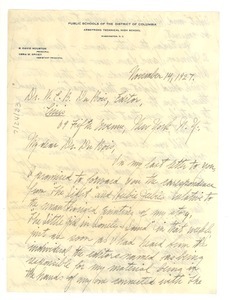 McCormack believes E. C. M. Kniel of Geneva is a man of high character with an excellent reputation. 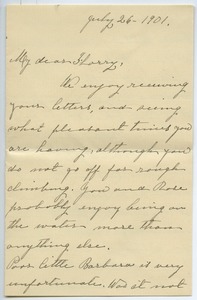 Letter from Jane Farrell to N.A.A.C.P. 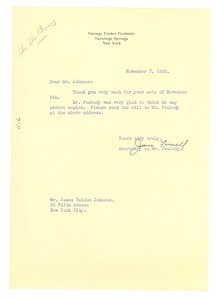 Saratoga Springs (N.Y.) - Addressed to James Weldon Johnson; thanking him for his note of November 5 (not in collection) and on behalf of Peabody, ordering various copies of the "Crisis" number therein referenced. 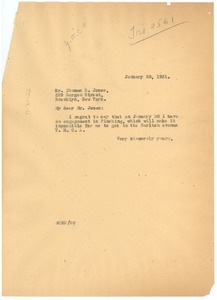 New York (N.Y.) - To Thomas R. Jones, president of the Hi-Y Club, Beta chapter, YMCA Carlton Avenue Branch, Brooklyn. Cannot speak at banquet due to scheduling conflict. Washington (D.C.) - As per the "mysterious" co-appearance, in the "Crisis" and in the "Light," of a short story of hers, reiterating her previous pledge to forward along the pertinent correspondence of the editors of the latter, and requesting he read and return them duly. Accra (Ghana) - Inviting Howard Melish to speak at W. E. B. 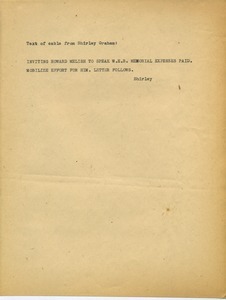 Du Bois's memorial service in Accra, Ghana. Perry (Me.) 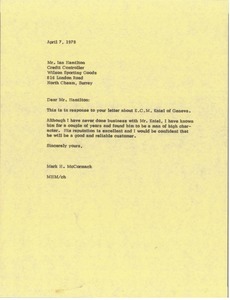 - Thanks for letter, recalls injuries of child possibly related to her, and health and activities of relatives. 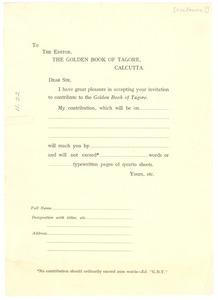 Calcutta (India) - Concerning a contribution to the Golden Book of Tagore.